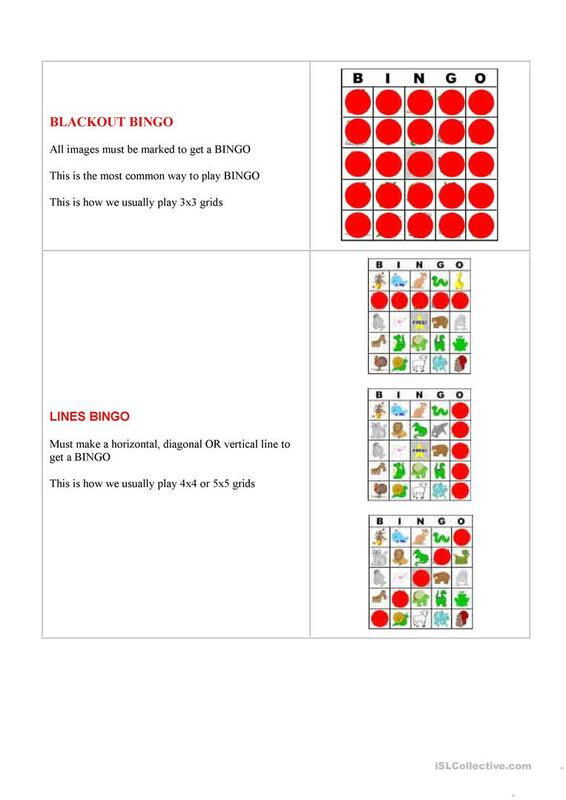 Bingo cards for beginners (1st year ESL) with examples of how to play bingo. 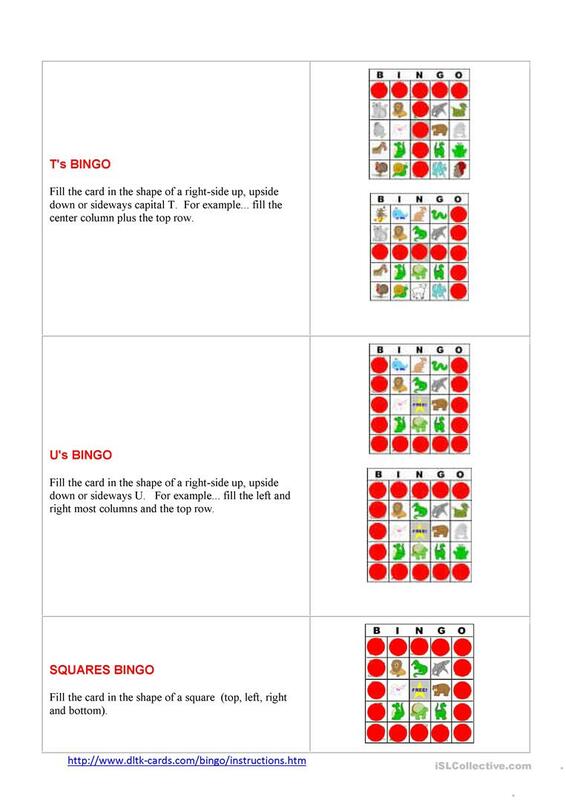 We start with the simplest level to warm up and a classic bingo. 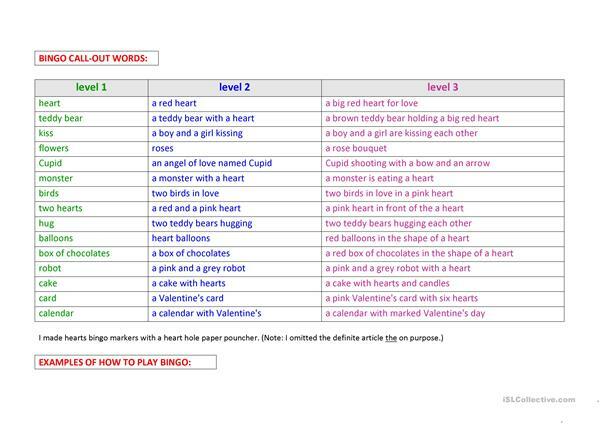 Later kids can lead the activity and we move on to more complicated bingo. Don't forget to make some cute heart markers (the easiest if you have the hole puncher in the shape of a heart). 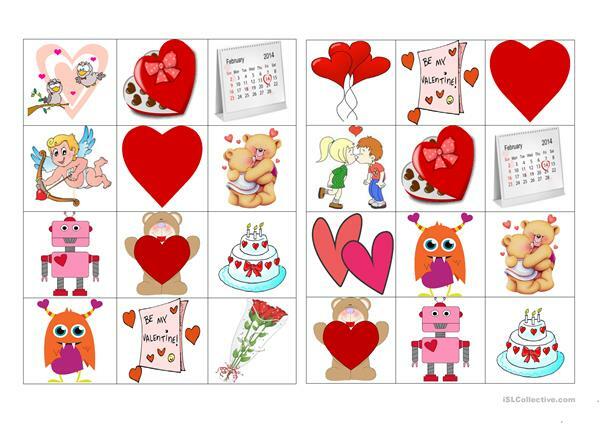 Wish you all Happy Valentine's! 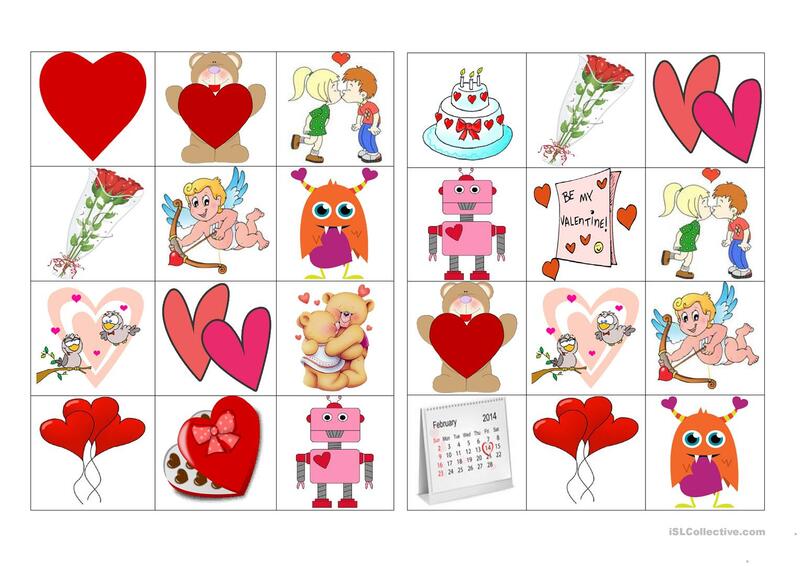 This downloadable handout is meant for elementary school students, kindergartners and nursery school students and students with special educational needs, learning difficulties, e.g. dyslexia at Beginner (pre-A1) level. It was designed for developing your class' Listening skills. 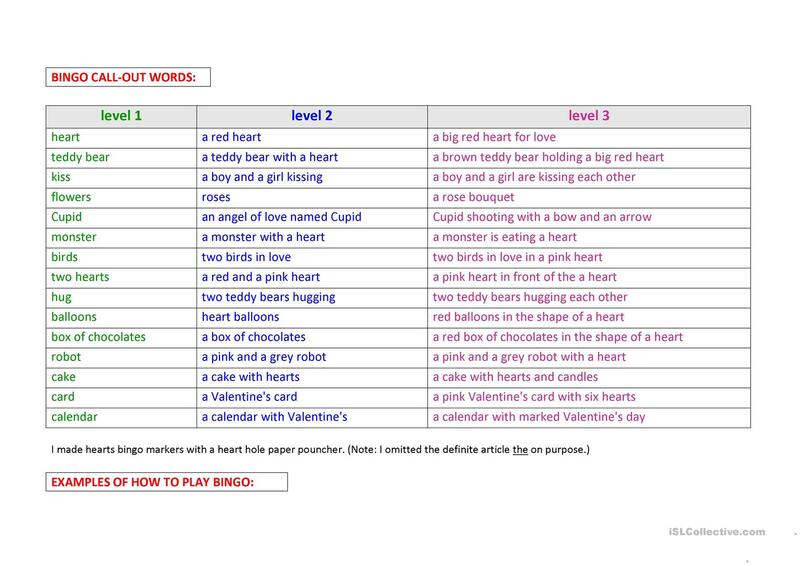 It is about the vocabulary topic of Valentine's Day. You will find the answers at the end of the worksheet. barakula is from/lives in Slovenia and has been a member of iSLCollective since 2012-01-14 11:08:07. barakula last logged in on 2019-04-15 10:20:02, and has shared 48 resources on iSLCollective so far.